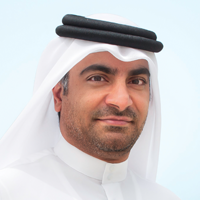 Mohammed Khalifa Al-Suwaidi has been working as Chief Executive officer in Aspire Zone since September 2015, Mohammed leads the implementation of Aspire Zone Foundation’s (AZF) overall strategic direction under the supervision of the President’s Office, ensuring that AZF’s business strategy and objectives are reflected in the AZF’s business processes and that they are delivered in a professional and proactive manner. 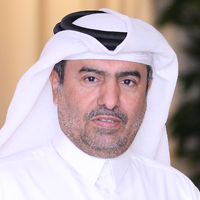 Mohammed was working as Executive Director – Operations at Qatar Foundation since July 2013. Prior to this he was Procurement Director for three years. He has15 years of experience in various aspects of Procurement and Supply Chain Management at Qatar Foundation and RasGas. Mohammed holds a bachelor’s degree in Business Administration and has attended several technical, management and leadership trainings. The latest addition to his knowledge portfolio is Senior Management Leadership Program conducted by Qatar Foundation in association with Oxford University. He is a result oriented inspirational leader capable of building and developing effective team and leading people to achieve their fullest potential. 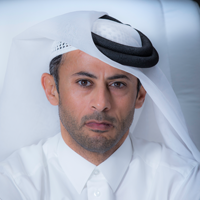 During his tenure at Qatar Foundation, he has implemented innovative solutions to streamline the processes, re-structure the organization and develop systems to achieve operational efficiency and enhance customer service.